● 42 courses and 18 one-day workshops! MG School offers 41 courses related to the art of calligraphy, illumination and heraldic design. Also, 18 one-day workshops are available outside the regular courses and constitute an important support to gain knowledge of graphic techniques and certain aspects of Western culture. 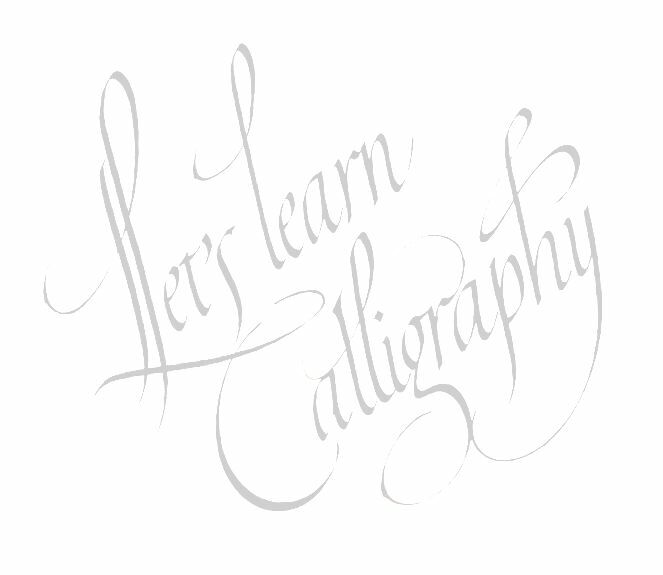 ●Through our unique teaching techniques, students learn how to develop their skills and artistic sense to master the art of calligraphy. 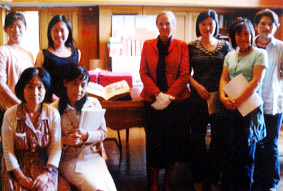 Guidance is also provided towards understanding the spirit that animates European calligraphers. ● Beginners enjoy the experience of going through different phases of learning by enrolling in the initiation courses, intermediate and advanced levels to become full-fleged professionals. ● Aside from modern instruments, all courses include the use of traditional tools and materials. ※At the stage of initiation to calligraphy, beginners focus on posture, hand position, pen angles, warm-ups and other basic rules to achieve a good understanding of the art. 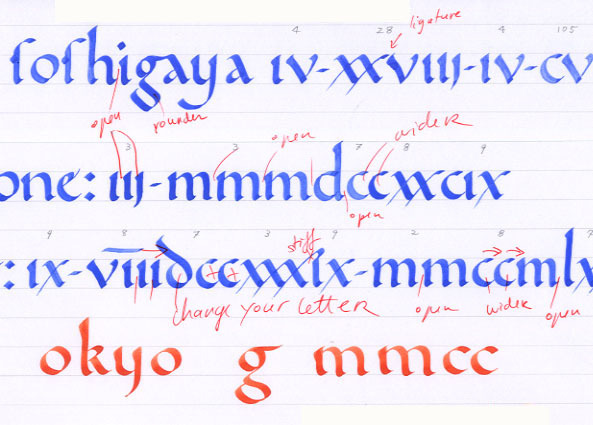 All general classes in calligraphy begin with the basics of the particular style under study. Text written in the Rotunda script. Four-line illuminated initial "C" on a background of lapis lazuli. Decorations in burnished gold, blue and pink. At the beginning of each class, students receive material gathered during years of research on European manuscripts and from the private collection of MG School's manuscript leaves. 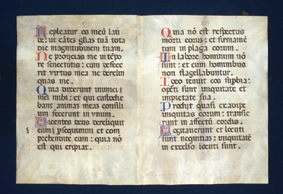 Original leaves are exhibited during classes on the History of Writing. 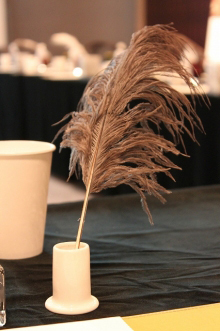 * Students are taught the traditional posture of holding the pen in the right hand and the stylus in the left hand. 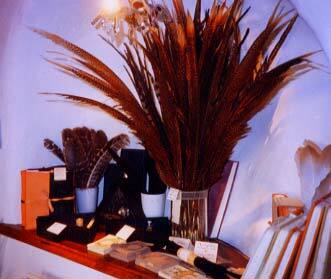 * Traditional tools and materials are used - animal skins, rag papers, natural gums and pigments. *While learning the historical background of each alphabet, students are also taught its specific style of decorative letters and the use of colors. 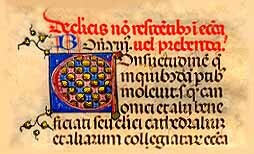 * Instruction is provided in a wide range of illumination techniques from the Middle Ages to the present.